BOULTON, WILLIAM HENRY, lawyer, politician, and Orangeman; b. 19 April 1812 at York (Toronto), U.C., eldest son of D’Arcy Boulton Jr and Sarah Ann Robinson; m. Harriette Elizabeth Dixon who, in 1875, married Professor Goldwin Smith*; d. 15 Feb. 1874, at Toronto, Ont. Grandson of Chief Justice D’Arcy Boulton*, as was his cousin D’Arcy Boulton, and nephew of Sir John Beverley Robinson*, George Strange Boulton*, and Henry John Boulton*, William Henry Boulton belonged to the third generation of what was popularly known as the “Family Compact.” He became an attorney at the age of 23 and began practising law in the partnership Gamble and Boulton. Matthew Crooks Cameron* articled with the firm and Boulton later entered into a partnership with him. In 1840 Boulton was treasurer of the annual Toronto races, one of the most important sporting events in the city, and in the next few years he emerged as an important figure in politics, making use of his considerable family influence and acquiring popular support through association with the rising power of the Orange movement. Boulton was first elected alderman for St Patrick’s ward on the Toronto City Council in 1838. He retained his seat until 1843, was re-elected in 1844 and 1852, and re-entered the council as alderman for St Andrew’s ward in 1858. 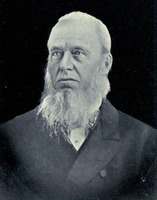 From 1845 until 1847 and again in 1858 he was selected by the council to serve as mayor of Toronto. 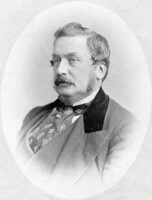 He resigned as mayor on 8 Nov. 1858, after a quarrel with the chief of police. Boulton contested the election in January 1859, the first in which the electors voted directly for the mayor, but was defeated by Reform lawyer Adam Wilson* who was supported by George Brown’s Municipal Reform Association. 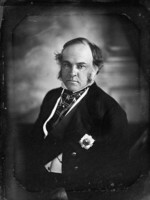 Boulton lent dignity to the office of mayor by his family prestige and by his impressive residence known as the “Grange” where he entertained the governor general, Lord Elgin [Bruce*], during his tour of Canada West in 1847. As mayor he was himself a colourful figure with varied interests. Once, when councillors debated whether his salary should be £400 or £450, Boulton, on being informed that there were back streets in town that could not be paved for want of funds, told the council to “leave the money in the chamberlain’s hands for the benefit of the community.” Perhaps it was this apparent indifference to money that surprised and pleased his electors and it may explain the financial difficulties he experienced in 1851 when his property qualifications for nomination were questioned. One of Boulton’s major interests while mayor was the Provincial Agricultural Association. He played a leading role in the decision of the city council to vote $20,000 towards a permanent exhibition building for agricultural and industrial arts. This building, known as the Crystal Palace, was opened in 1858 and annual exhibitions were held there until 1866. 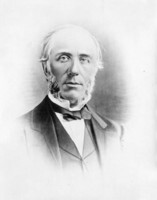 Boulton’s career as a representative for Toronto in the Legislative Assembly began in 1844 when he was pressed to stand for the Tories along with Henry Sherwood*. The Tory British Canadian stated, “Mr Boulton . . . is just the man of firmness and resolution that the times call for . . . he is shrewd, prompt, and persevering.” The two Toronto seats were being contested by one Reformer, John Henry Dunn*, and two other Tories. Boulton’s support came largely from the working classes (Brown complained in the Globe that the “Labourers were under the influence of the Corporation and the Family Compact”), and he was to continue to hold this support throughout his parliamentary career. When Boulton entered the assembly in 1844, he joined the Conservative ranks under William Henry Draper, whose administration he was later to describe as the “weakest government that ever held power.” The major issue facing the assembly was the Reformers’ bill making King’s College secular, and on it Boulton was firm; coming from a strong Church of England family, he tried consistently to protect what he considered the rights and privileges of the church. In 1845 Draper attempted to settle the university question, and Boulton, as one of Bishop John Strachan*’s spokesmen in the assembly, opposed his bill and moved a six-month delay; the motion eventually carried. Again in 1849 when Robert Baldwin*’s university bill, which removed all denominational distinctions, was being debated, Boulton led the opposition; however, the act was passed. King’s College was completely secularized, but Queen’s and Victoria, both sectarian colleges, refused to be affiliated with it. In 1851 Boulton unsuccessfully proposed a university plan of his own. It was comparable to one proposed earlier by Sherwood and had Strachan’s approval. 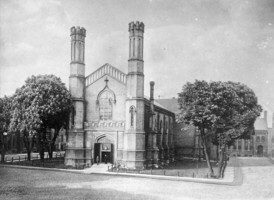 The University of Toronto would adopt the University of London’s system; that is, it would become the examining board for denominational colleges. A new institution, University College, was to retain the endowment of King’s College and the teaching functions. In his defence of the church, Boulton was acting on principle or, at least, following a family tradition, but on other issues he appears to have accepted the role of demagogue in his bid for popular support. Having retained his seat in the Conservative debacle of 1847–48, when he warned electors that their interests would be sacrificed to the “Tobacco-smoking, Dram Drinking, Garlick Eating Frenchmen,” Boulton surprised his Conservative colleagues in 1850 by proposing amendments to the constitution to develop more fully the “elective system” and in particular to make the Legislative Council elective. Answering objections that his proposals were “revolutionary and republican,” Boulton replied, “Our institutions are republican . . . so are those of Great Britain.” His Toronto colleague, Henry Sherwood, strongly condemned Boulton’s proposals and said they were not the sentiments of his Toronto constituents, but Boulton campaigned in 1851 on the need for “radical changes in the working of the Government,” and won his seat, although with a reduced majority. Boulton was able to boast in that year that “he owed his election to . . . the bone and sinew of the country, the mechanics, the artisans and labourers,” and to the Orange association. In fact, much of Boulton’s popular support came from Toronto Orangemen who were grateful to him for his efforts in having the act of 1843 restricting party processions repealed. They wanted Boulton as their candidate along with Henry Sherwood during the 1851 elections, which saw two other Conservatives and two Reformers in the contest. At the stormy nomination meeting, a “knot of young lads, the roughest and most noisy of our population,” according to the Globe, shouted down not only Reformers Frederick Chase Capreol* and Terence Joseph O’Neill, but also Orangeman Samuel Thompson* who persisted in running even after an Orange delegation asked him to retire from the contest. Boulton was elected, along with George Percival Ridout, but his election was declared invalid in March 1853. In his role as an Orangeman, Boulton had risen from the mastership of a Toronto lodge to become deputy grand master of British North America in 1854. During the schism in the Orange movement from 1853 to 1856, Boulton supported the more Protestant and vocal wing of Orangeism led by George Benjamin* in opposition to Ogle Robert Gowan. After his expulsion from the assembly, Boulton left Canada to travel in England and on the Continent. He again made a bid for his former Toronto seat in the 1857 election but was defeated by George Brown. This set-back, coupled with his resignation as mayor in 1858 and his subsequent defeat in the mayoralty contest in 1859, led to his retirement from politics. He continued practising law in Toronto. Boulton was a son of the Family Compact with a sympathy for tradition, but he had at the same time an instinct for popular politics. He early grasped the political importance of the Orange movement, and he was never disturbed by the views or methods of Orangemen. 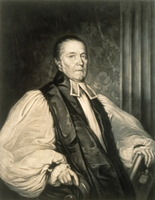 His defence of clergy reserves was consistent with his traditionalism and his advocacy of elective institutions consistent with his “popularism.” Understandably, he was disliked and feared by Reformers such as Baldwin and Brown who disapproved of his essentially popular and non-intellectual approach to politics. 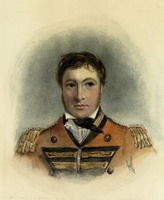 But he had an affable personality; he was able to enjoy both a dinner in the officers’ mess of the garrison after a day’s race over “Boulton’s Course” and electioneering on a platform that was flanked by “Boulton’s Brigades” who applauded his promises to vote for “rep by pop” and to defend Protestantism. Evening Telegram (Toronto), 12 July 1910. Globe (Toronto), 8, 15 Oct., 10 Dec. 1844; 14 Jan., 11 Feb., 11 March 1845; 27 June, 6 July 1850; 24 June, 20 Nov., 2, 9, 11, 18, 23, 25 Dec. 1851; 15 Dec. 1857; 13 July, 9 Nov. 1858. The hand-book of Toronto; containing its climate, geology, natural history, educational institutions, courts of law, municipal arrangements . . . , [comp. G. P. Ure] (Toronto, 1858), 175. Loyal Orange Association of British North America, Grand Lodge, Annual Report, 1854, 5–7. Mail and Empire (Toronto), 4 Nov. 1936. Montreal Gazette, 20 June 1840. J. R. Robertson, Old Toronto: a selection of excerpts from Landmarks of Toronto, ed. E. C. Kyte (Toronto, 1954), 59–60, 69. Scadding, Toronto of old. Chadwick, Ontarian families, I, 58; II, 57. Dent, Canadian portrait gallery, III, 101. Wallace, Macmillan dictionary, 73. Careless, Brown, I, 245–46, 291; Union of the Canadas, 118. Creighton, Macdonald, young politician, 109–10, 161–62. Landmarks of Toronto (Robertson), II, 630, 754–55, 1089; VI, 191–92. Moir, Church and state in Canada West, 96, 110, 113. Hereward Senior, “BOULTON, WILLIAM HENRY,” in Dictionary of Canadian Biography, vol. 10, University of Toronto/Université Laval, 2003–, accessed April 24, 2019, http://www.biographi.ca/en/bio/boulton_william_henry_10E.html.